Taste is changing, style is changing, and players' abilities are changing. Initially we performed in halls with capacities of 1,000. If we perform the romantic repertoire we need more musicians. So I've never found there was any particular separation between the two cultures at all, musically speaking. We don't want other people poking into our artistic pie. But the most important test is to take them on tour and see if you can bear to spend time with them. I think the quality of something like the Beveridge, for instance, will have a life of its own. I think we were all frustrated with our daily routine. I would like new people with new ideas to come into it and change it. One thing we were looking for from the start was players who really fit together, who sounded in tune. 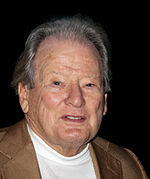 Marriner was born in Lincoln England and studied at the Royal College of Music and the Paris Conservatoire.